For many, it is discomfiting to talk about the experience of migration. It can be doubly hard to expose the scar tissue that comes with being an immigrant or a refugee -- the constant miscommunication and code switching, the collision of the traditional and unfamiliar, and in recent months, the exposure to white nationalist ideologies that have trickled down from the top of the American body politic. 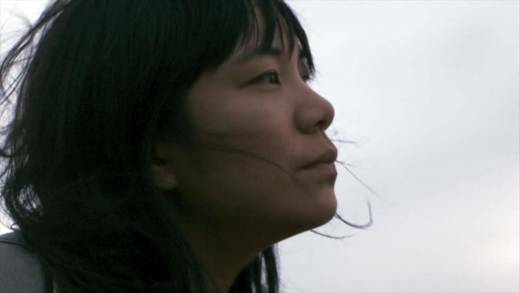 San Francisco-based folk musician and songwriter Thao Nguyen, with her band the Get Down Stay Down, is still learning to open up about her own experience as the daughter of Vietnamese refugees. “My career has been an ongoing experiment with being more forthright about my family and my biography,” says Nguyen. Nobody Dies, a new documentary premiering on KQED Sept. 10 at 6:30pm, is perhaps the most direct of Nguyen’s ventures into first-person frankness -- a profound short documentary that lays bare the bittersweet joy of returning to a homeland tarnished by personal and political loss. 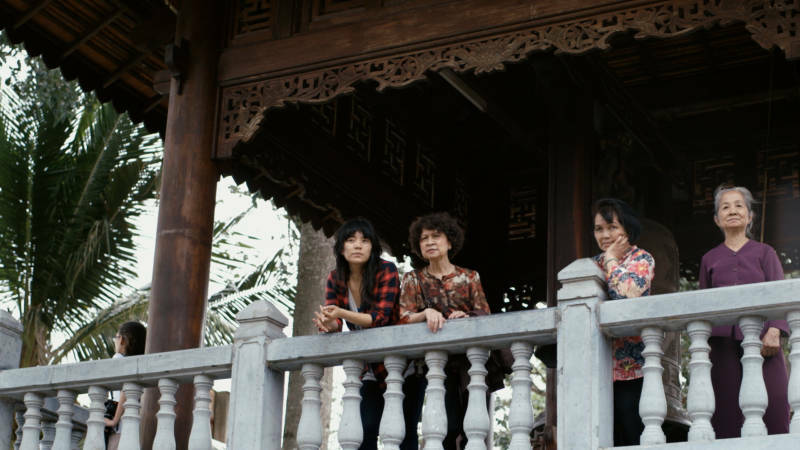 The film documents a trip Thao and the Get Down Stay Down took to Vietnam in the summer of 2015 -- a tour timed to commemorate 20 years since the normalization of relations between the United States and Vietnam. It would be Nguyen’s first visit to Vietnam. She, in turn, invited her mother, Nhan, who hadn’t returned to her homeland since migrating to the U.S. in 1973. It took a bit of nudging to get her mother to accompany the band. Rather than place emphasis on the band’s shows or even linger upon the impact of the Vietnam War on Nguyen’s family, Nobody Dies plays out as a love letter to Nhan. For the first time, she says, Nguyen got to witness a lightness in her mother. Director Todd Krolczyk wanders through the streets of Vietnam with the same assured eye. He's a filmmaker who values intimacy: slow, wide shots balance against shots that focus on the faces of the two Nguyens. Nguyen’s voice, in song or conversation, accompanies each scene. Krolczyk's close friendship with Nguyen is palpable, and Nobody Dies benefits from his ability to imbue every shot with purpose and feeling through interviews, trip footage and songs that span the course of Nguyen’s decade-long career. Importantly, Nobody Dies also shows the understated details that are always felt but often go unseen in media representation of Asian families, and especially Southeast Asian families. It’s the small, tacit reminders of care and devotion that the documentary gets right: the elder Nguyen offering her daughter lychee fruit in their hotel room, extended family gatherings where everyone in the room somehow feels familiar. With this level of in-the-know specificity, Nobody Dies is elevated beyond ordinary documentary fare. Nguyen herself is an illuminating presence in Nobody Dies. Even when she broaches sensitive subjects, like the matter of her largely-absent father, she's treated like a companion in the narrative rather than its subject. Nguyen’s father served in the South Vietnamese air force during the Vietnam War and met her mother, who worked for the Vietnamese government in Laos, in a Guamanian refugee camp. The two moved to Virginia, where Nguyen was born and raised with her younger brother. By the time she turned 12, her father had abandoned the family. His eyes are never shown in the pictures of him scattered throughout the film. 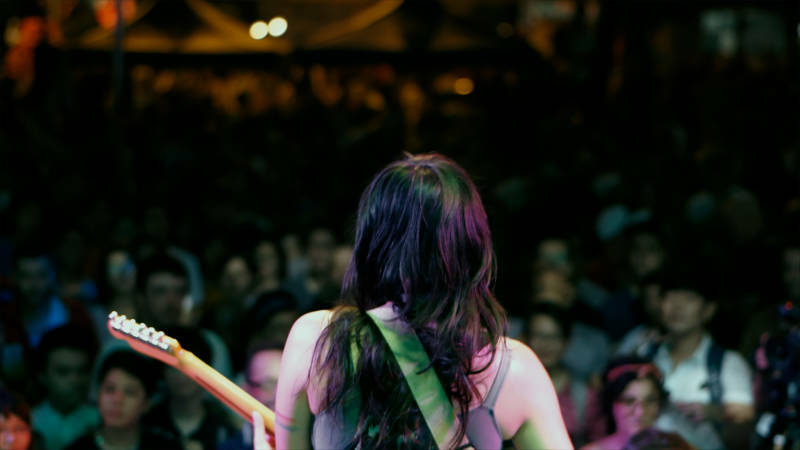 Nguyen processed the emotions of the trip by recording her fifth album, A Man Alive. It details her relationship with her father in no uncertain terms, treating the subject with a vulnerability that was often shrouded by metaphor in her previous work. The album is buoyed by vibrant production from her friend Merrill Garbus of tUnE-yArDs. In the film, as in the album, Nguyen is empathetic and exhausted when she talks about her father. There’s an arresting moment in Nobody Dies when Nguyen talks about a khaki Perry Ellis jacket her father left behind when he left the family. Nguyen tears up as she conjures her father’s memory like a specter. Despite all of her emotional directness, it’s clear that Nguyen still had so much to sift through. A story like Nguyen’s doesn’t lend itself to directness, and it’s understandable that it’s taken years for her to fully offer it up for public consumption. Nguyen's had to excise the multiple layers of intergenerational and historical grief that get brushed under the surface in family dealings. For her to open up lends itself to tired stereotypes: of women who occupy the realm of first-person storytelling only to be deemed less groundbreaking than their male peers, of refugee stories such as Nguyen’s needing to be simultaneously transcendent and grounded so as to be welcomed by the masses. Nobody Dies is not a political statement, nor does it really set it out to be one. But to document this journey and share it with an audience is, in itself, an act of power and subversion. 'Nobody Dies: A Film About A Musician Her Mom And Vietnam' airs on KQED 9, Sunday, Sept. 10 at 6:30pm. Click here for details.